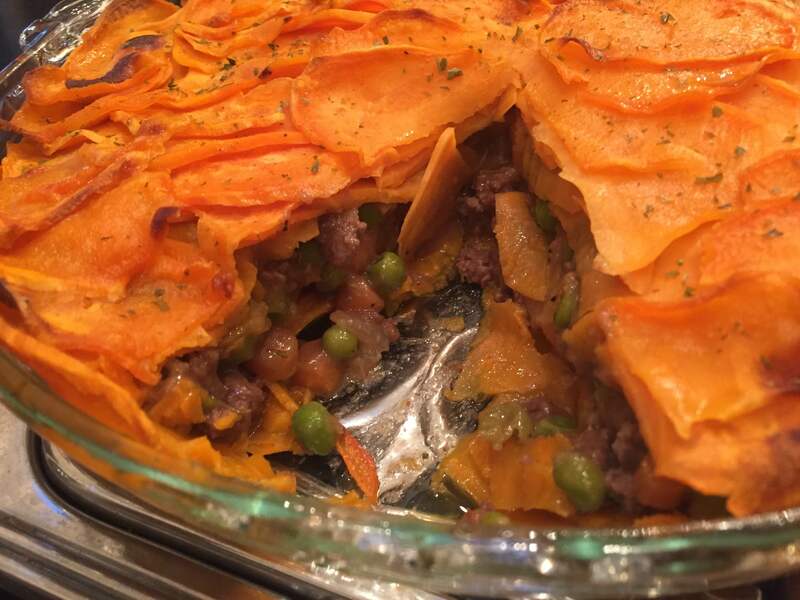 This fantastic recipe comes from Southern Living: Shepherd’s Pie with Potato Crust. 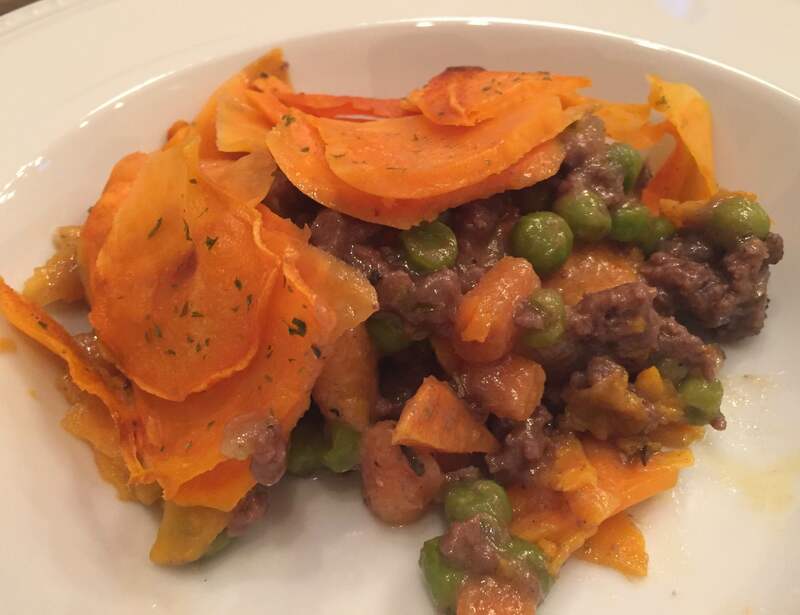 The ingredients in this recipe are similar to those in a low(ish) carb dinner we have frequently: mashed sweet potatoes, ground beef with onions and tomatoes, and peas. This version is a wee bit fancier. 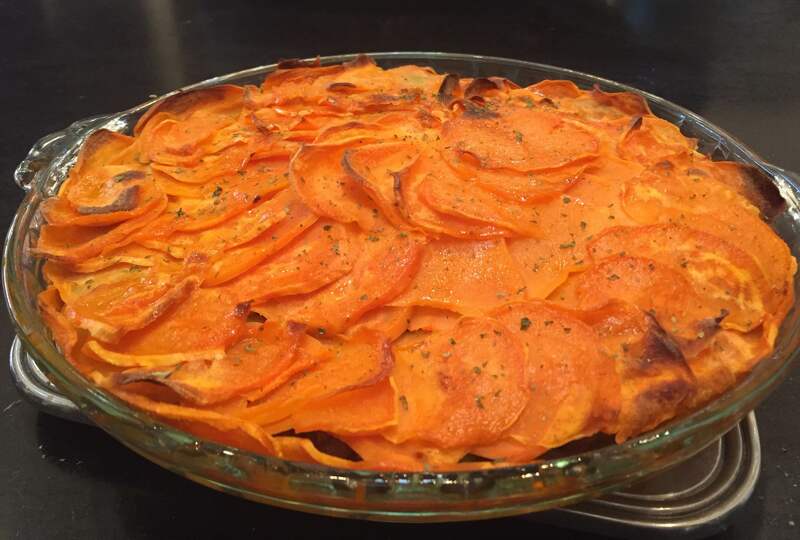 The recipe would be a winner as-is, but I did make a few changes, first off, using just sweet potatoes in the crust vs. white potatoes as well. 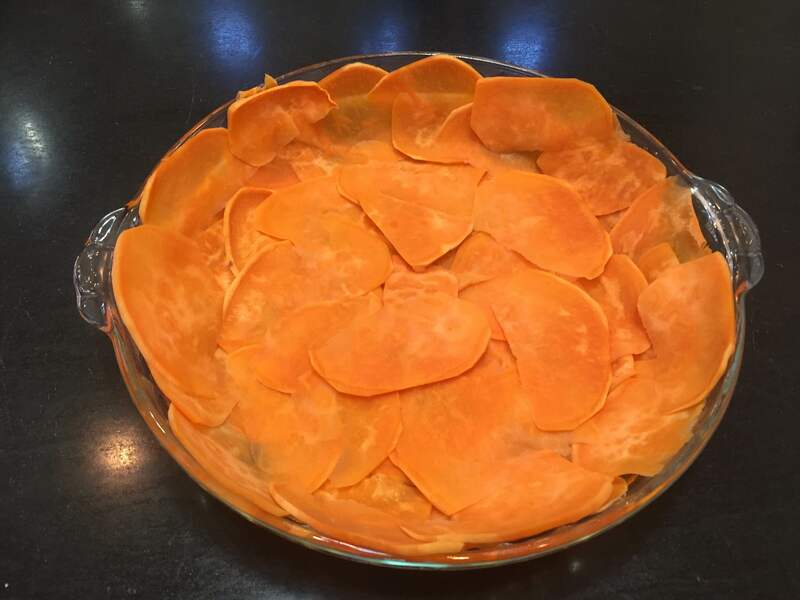 I cut the sweet potatoes with a mandoline, a very useful kitchen tool to have on hand. This makes sure all the potato slices are relatively even and extra thin. I never could have done that with a knife. 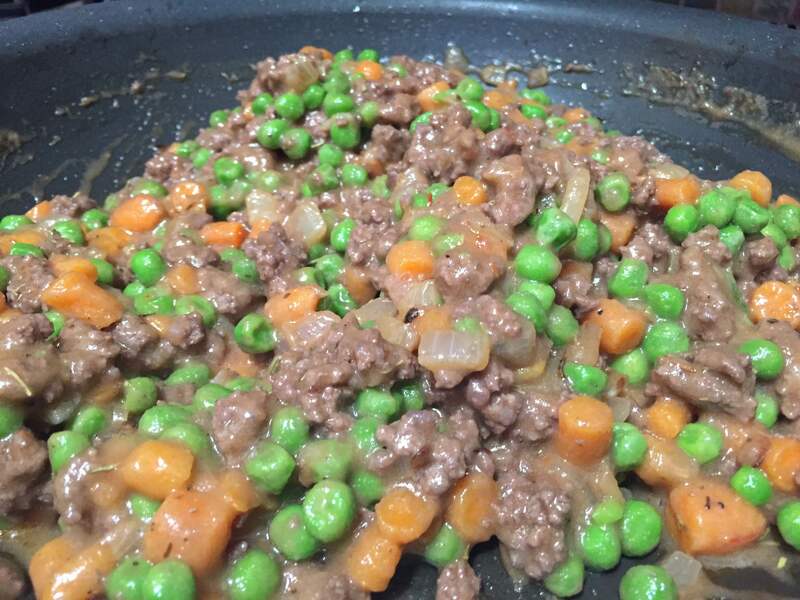 After cooking the ground beef and adding wine, the instructions tell you to simmer until the wine is almost evaporated and then drain the meat. I felt the meat would overcook if I simmered it that long, so I stopped short of letting it totally evaporate. In draining the meat, the above incredible red wine-beef reduction is what I got. 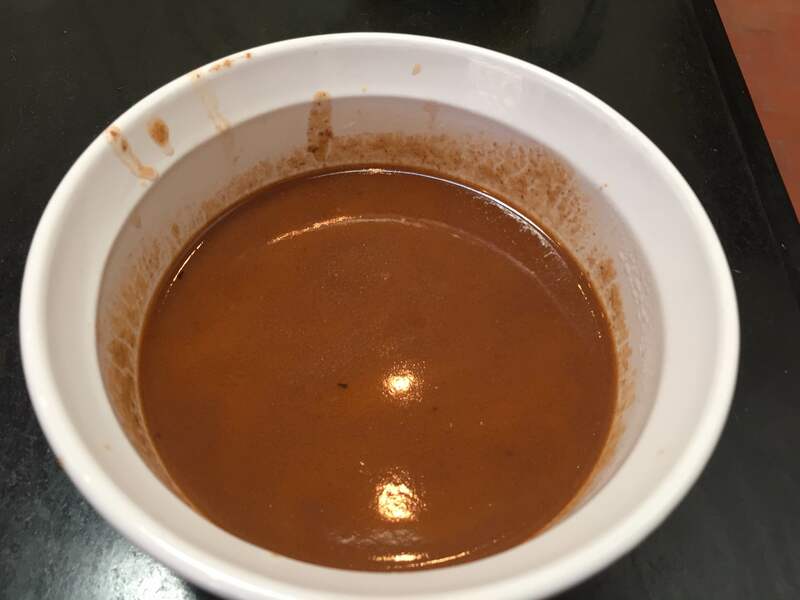 I thought, there is no way I’m throwing this out just to add back in the beef broth the recipe calls for. So, I used this, thinned out with a little broth to total the two cups called for later in the recipe. Very flavorful — this was a definite win. I also omitted Worcestershire sauce because I didn’t have any and this was flavorful enough. 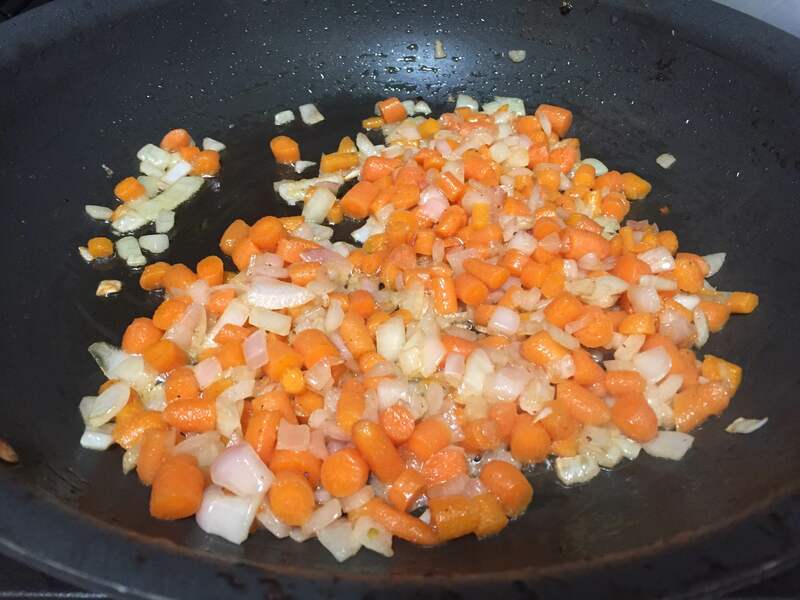 I omitted garlic because we didn’t have any on hand, but added a shallot with the onions. That worked fine. 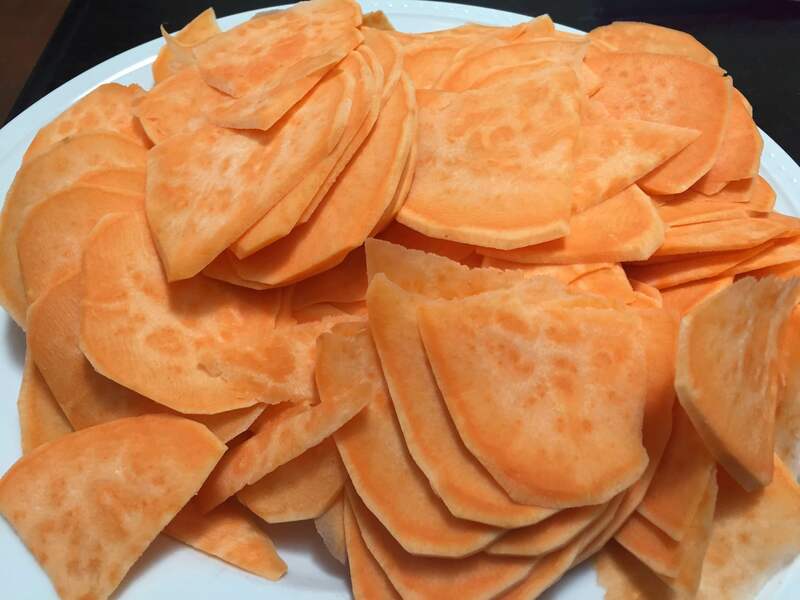 Another minor change was to use rice flour instead of wheat flour in order to make the recipe gluten-free, during the carrot-and-onion cooking stage. The filling is delicious. There was extra and I ate a small bowl of it by itself. Yum! The crust is the fun part. 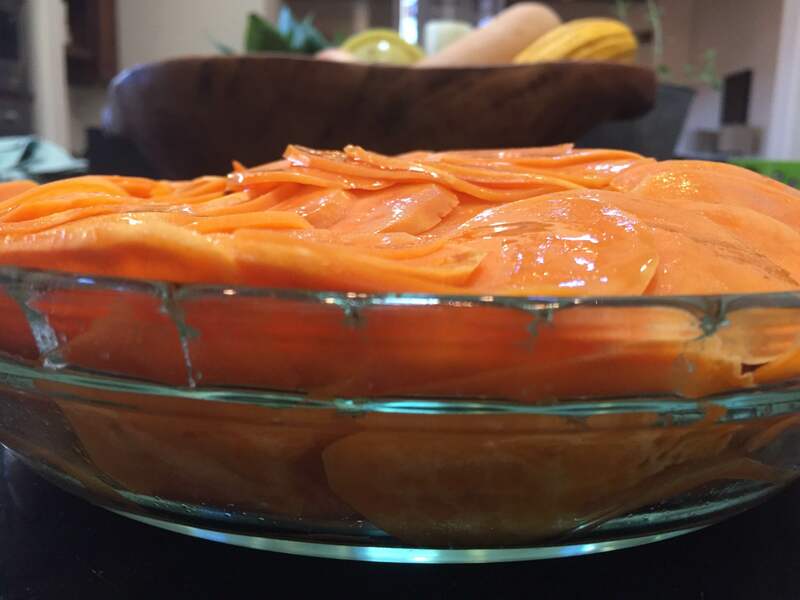 One large sweet potato made enough slices for a couple layers in the pan and on top. 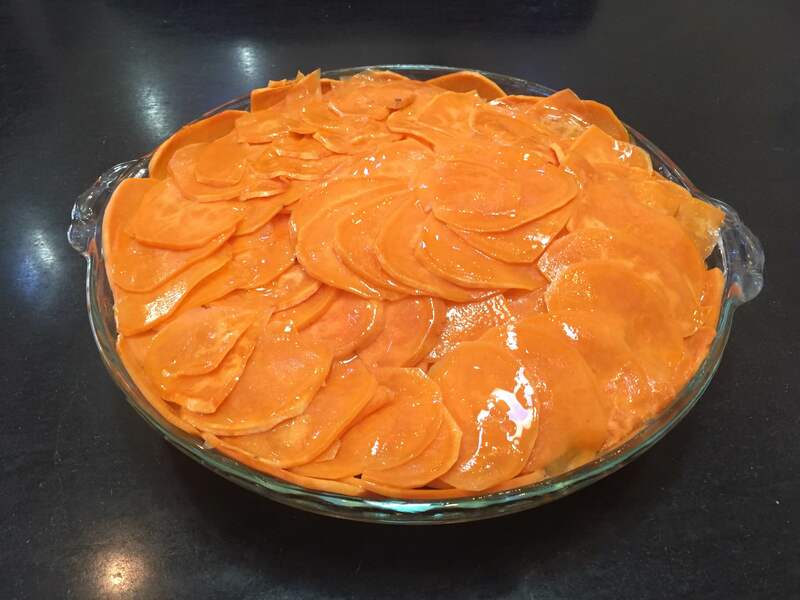 This is the pie going into the oven. Brushed with butter (I used clarified butter because of my dietary restrictions — it doesn’t contain casein) for easy browning. 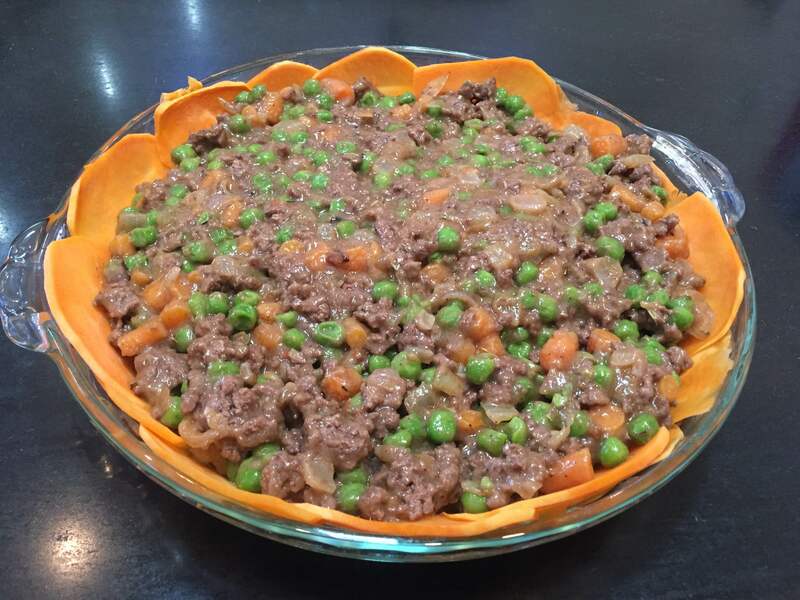 And we have Shepherd’s Pie!